Alpine Door & Trim offers Net 15 and Net 30 Account terms to builders and designers. Please complete and email the credit application (below) to accounting@alpinedoorandtrim.com to see if your company qualifies for account terms. 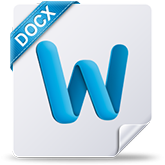 Click on the Pdf or Word icon to download Alpine Credit Application.